Larps as adaptions of films and books, larps as tool to teach and communicate. And stories about larp from far away from the Nordic countries. Here are all the talks from Nordic Larp Talks Copenhagen 2015. 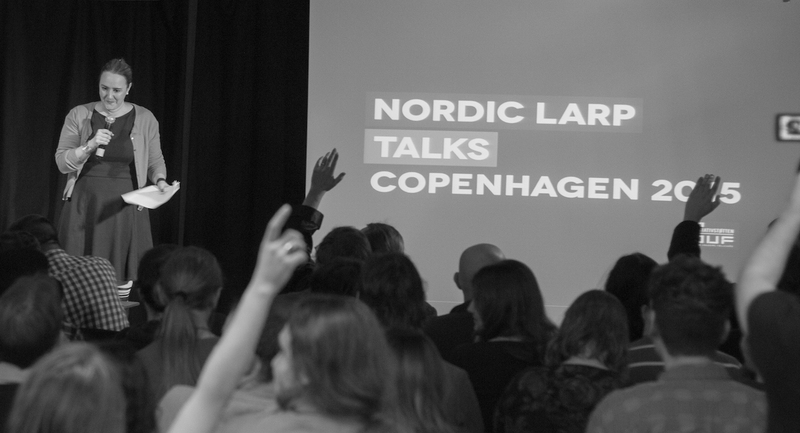 Nordic Larp Talks Copenhagen 2015 was produced by Babylon and Petter Karlsson from LajvVerkstaden in connection with Knudepunkt 2015 and A Week in Copenhagen with support from DUF (Dansk Ungdoms Fællesråd) and Københavns Hovedbibliotek.